(i). Pork (nyama ngowa) As recent as seventy five years Mokpwe women did not eat port. I remembervery well, my grandmother did not eat nyama ngowa. (iii) Birds expect the domestic chicken (wuva), the wild chicken (kpwae) and the duck. (iv). The “towel-like” meat at the back of a porcupine. 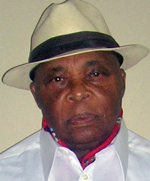 (ewkuka ngomba). Ngomba = porcupine. (v). Njuwe, a wild animal about the size ofa very big dog. The meat has a nicetaste but Njuwe smells like a malegoat. Source: Oral narrations of Mokpwe folklore: Talesad Fables of the Animal Kingdom. Wolinyama = The Animal Kingdom. Nambese is asmall size bird, about the size of a palm bird (Ngaka). He is clever and was flamboyant and versed with theculture, traditions and customs of Wolinyama. It was no surprise therefore when he wasanointed a judge in the WolinyamaCourt of Appeal. He made very impressivecontributions in the administration justice, and was well respected by hiscolleagues and the public. A year after his service in the Court gossips started tospread that he received bribes from litigants and that he himself gave outextravagant bribes to cover up his wrong doings. He was not questioned because of want ofproof. Eighteen months later he was caughtreceiving a substantial bribe. Theincident caused embarrassment to Judges of the Court and further more pub theintegrity of the Judiciary in doubt. He gaveout big bribes to witnesses so that his crime could not come to light but remarkablywitnesses failed to support him. That is why Nambese isseen s standing solemnly on top of gates into villages. Where the gate into the village has beenbroken down Nambese hops solemnlyalong the village fence. Lexiconj: Kaava = a loose dress, length, from neck toheels. Kaava is used at cultural and social ceremonies - wrestlingmatches, Maale ceremonies, weddings. Kaava is sensitive to movements of the body and emotions. Kaava swings along with the ladies when an Elongi is marching. “Who arethese singers ? We are the ladies of Soffa Mokongo mo kongami. We are singing in praise of the Lord”. The lengthof a Kaava is controlled when a headwear or a shawlis wrapped round the stomach. Kaava with black colour are frequently used at funerals and at solemnceremonies. There isalso a businesslike Kaava, length,from neck to halfway between the knees and the ankles. It is known as “esunga kaava”, that is ashort kaava. Mokpwe Folklore. Tales and Fables of the Animal Kingdom. Njoh =a leopard. Njoku/Njoke = an elephant. Mooso Nyame = apython. Wolinyama = “citizens” of the Anil Kingdom. Yasi nanu. Njoh a Nyame was anxious toeat Njoku meat also. In that connection after Njoh had fasted for three days he suddenly violently attacked Njoke when Njoke was grazing in the forest on the hill between Livanda (Mile 14) and Motengene. He punched Njoke on the ribs. No impact. Then he tried to bite one of the legs of Njoke. No impact again. Njoh’s claws and teeth could not penetrate into the thick skin of Njoku. “Njoh ! Don’t die. I want you to bealive so that you will appreciate and continue to appreciate my fighting power. Should you again venture toassault me, I will of course destroy you completely”. Wolinyam were pleased again that Njoh had once again suffered anotherserious defeat. Njoh suffered his first defeat in the hands of Mooso Nyame. Njoh had caused sadness andsuffering to several families in the Animal Kingdom. He killed many citizens for fun and left theirremains lying on the ground without burying them. He devoured several citizens, and then forcefullytook possession of their properties. What he was not Njoh being an unreasonable creature all the time should, even in hisincapacitated condition, devour them. Popular public opinion was that Njohdeserved death and should therefore be left without treatment. However, after several entreats by members ofNjoh’s family, Doctor Mosongo Inoni started to treat Njoh on the condition that he wouldfirst send Njoh to sleep beforecommencement of every treatment. Njoh wascured after three months but was no longer as active as he used to be. Tales andFables of the Animal Kingdom. Once upon atime Traditional Doctor Mosongi Inoni operateda clinic in a large cave on the bank of a stream, close to a deep pool below a waterfall. One day Ngowa with patches of mud on his body visited the clinic and askedthe Doctor to treat him for a pain on the hip and a wound on the leg. Afterstaff of the clinic had bathed Ngowa with warm water and medicinal leaves, Ndombo and Woongo, Ngowa sat close to a fire. When water on his body had evaporated the Doctor massaged Ngowa’s hip and covered Ngowa’s would with medicine. Soon Ngowa went out of the cave and rolled over the spot on which he had been bathed. Covered again with patches of mud on his body Ngowa entered the cave again and againstarted to dig the floor and walls of the cave. Surprised tosee Ngowa with mud again, Kava Nyame, a staff in the clinic asked: “is this not the Ngowa wehave just bathed and treated. Why has hesoiled himself again ?. Why has heallowed mud to cover the wound on his leg” ?. The patients accused Ngowa ofweakening the walls of the cave. Then Ngowa responding without regret said bycreation he feels at home in wet and mud environment and that again by creationhe has to dig the floor at all times wherever he is. At that point Mwambala exclaimed: “sayii ! Ngowa aveli ndi Ngowa”, that is “a swine is a swine”. Literally: primitive, foolish, a reference to someone who has chronic habits of continuingto take distasteful actions. Source: Oral narrations and eye witness accounts. There is asaying in Bakweri that there are insults in jokes (“liyeti,veyoli”). There are also insults insome Pop Songs as evidenced by accusations made in the following Songs. The first song, “Eliva Lyonge,” was composedby children/youths hundreds of years ago to provoke a child who fails to obtainthe required pass mark in a game. Theother three songs were composed during the years 1920-1950. (“Elive ee ! Eliva Lyonge, Nyama Wanga. Motiti mo wanda a mbgwa o-tolongi, Nyama Wanga, Nyama Wanga. Elive ee ! Eliva Lyonge, Nyama Wanga. Nyange a ife moleli mosa veeya, mosa veeya.. Elive ee ! Nyama Wanga”). Nalionge. The song: “Since Nalionge killed Mbelle, the day of retribution is awaitingNalionge”. (“Nalionge mo amo-nwe Mbelle, mofe ao-weene”). It was alleged that Nalonge killed Mbelle through Nyongo mystic powers. Litumbu le Ekese of Wokpaongo was an eminent Pastor of the Basel Mission(now Presbyterian Church of Cameroon). He was ordained in the village of Wonyavioin 1917. Thesong: “Litumbe has monopolized the Godof all people”. (“Loova langani, Litumbe a-li kangana/a li-nyakana”). Namanga me Esembe of Buea.. Soonafter match officials declared Namange the winner of a wrestlingmatch in Buea, fans of his challenger composed the song: “Namanga has been assisted by a fetish heacquired from the Hausas.. Namanga is an idiot”. (“Namenge ee ! au-wa ndi o-Vausa, Namange ee, Namenge a lemi. Namenge au-wa ndi o-Vausa, Namenge , Namenge a lemi”). To avoidlegal confrontation when the names of the real persons accused are directlymentioned, some people resort to the use PopSongs as tools for indirectly assaulting enemies. That approach is known in Mokpwe language as “wemba-wemba”- not expressed butunderstood. “Wemba=wemba”. 291. Traditional Bakweri names borne by men and women. Here are some names that are borne by either a man or a woman. Manyaka = surprising, amazing, wonderful. Elinge = spirit, a ghost, a picture. Ndiva/Ndive = a deep pool in a stream. Mbangu = an elephant tusk. 292. In Bakweri Land, one name two faces. There used to live at the same time two men bearing the name, Otto Ewumbuwa Monono. The two men were probably in the same age group. (1). Otto Ewumbua Monono of Great Soppo. He was a Prince of the Royal Family of Sofa Mokongo (Great Soppo). He was a trained school teacher. He later gained admission in the Judicial Department of the Public Service. After study leave in England he was appointed Administrative Officer in the Department of Provincial Administration, now Ministry of Territorial Administration. He later succeeded his father Sango Augustine Ewumbuwa Monono as Traditional Ruler of Sofa Mokongo. Otto died on the 27th of March 1999. (2). Otto Ewumbuwa Monono of Wokpwae Village. He was a Prince of the Gbwikomi family in Wokpwae. He served the Basel Mission for many years in Nyasoso and in Buea. He was one of the renowned composers of Bakweri traditional music of his time. He died earlier than Otto Ewumbuwa Monono of Great Soppo. The two Ottos are survived by children, grand children and great grand children. 293. Motiti mwe Eso, e-wunya wo nyamba lu-unga. nyamba lu-unga = stomach diseases. Eso is one of the medications that a duly ordained traditional doctor ordains. One component part of an Eso is a small quantity of a crushed bark of a certain tree. An Eso becomes active or re-activated when it is emerged for about one hour in a mug of rain water or in liquid from crushed monda-no-wani plant, or in fresh palm wine. An Eso becomes re-activated every time it is emerged in the prescribed liquid. The liquid from an Eso is used as a drink by someone suffering from acute stomach disorder. The drink stops stomach pains. Vakpwe Tales and Fables ~ 277. Mooso amondo mo-mwiti wondenga ame-ngama. 277. Mooso amondo mo-mwiti wondenga ame-ngama. Responding Kaki Inoni (the Vulture) said: “That is an ambitious programme. It’s a good idea. Remember to work in concert with Resource Persons like the Elephant (Njoku) and the Mole (Koo). Njoku will bulldoze the track while Koo will create tunnels through hills”. Five Bakweri fables of cultural and moral lessons. 291. Vakpwe Fables of Moral lessons. e-Mokpwe uses several fables to deliver moral lessons. Let us examine five fables. (i). Nyanga Viya was known in her home village and beyond for preparing very delicious soup. On one occasion when she was out in the spring to collect water a gang of boys entered into her house to steal her pot of soup. It was a clay pot (“livanya”). In the scramble for the soup Evakise attempted to drink the soup direct from the “livanya” without using a spoon (“toe; ngele”). “Manyaka me eya”. Wonders shall never end. The “livanya” stuck on Evakise’s face. Attempts by Evakise’s friends and elders of the village to pull out the “livanya” from Evakise’s face failed. Nyanga Viya was informed of the incident. She then returned to her house without delay. She carried out mystic performances and gently pulled out the “livanya” from Evakise’s face. Evakise suffered embarrassment. 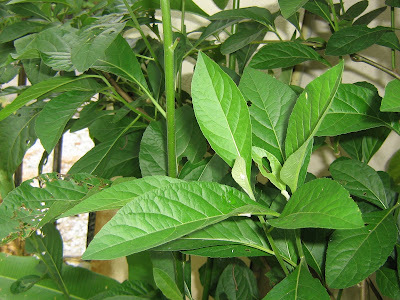 Furthermore the aroma that emanated from the “livanya” caused Evakise to develop respiratory problems. 73. “Moseke ! mosa-lala ngomo, timba o-mooka”. Moseke is a renowned dancer in Maale Society. mooka = the camp/the sanctuary. mooka mo Maale = a sanctuary for members of Maale Society. Yasi nanu: At a Maale ceremony as usual Moseke danced elegantly, spinning very fast. His performances were punctuated with deafening cheers from spectators. 72. “Liyali la Ngowa ! na nya, vafafa” ! 72. “Liyali la Ngowa ! liya/liyali = giving birth to children. ngowa/ngowe = a swine; a pig. vafafa = they hit; they strike; they kill. fafa e-ngowa – strike the pig and kill it. mofufe, na liyeli mbiti = I am the lone survivor. Yasi nanu: In her first delivery, Ngowe had eleven babies, seven females and four males. Within a space of six months Elive the owner of the Ngowa disposed of all the babies. He ate some, sold some, and used some in settling his debts. 71. “Mwaana Mboli, nwa ! e-Mwaana Moto ao-nge” ! 71. “Mwaana Mboli, nwa ! This is an extract from one of the citations of Traditional Doctors. mosoko mwe elongi = a song sang by a choir. Yasi nanu: It is alleged that when a witch does not intend to immediately kill through an illness a victim of evil witchcraft, the witch ordains that the victim’s life will be saved if the victim offers a specific domestic animal such as a goat, a sheep, a dog, a fowl as a sacrifice for ritual killing. The animal when slain replaces the imminent death of the sick person. 285. Bakweri Traditional Instruments of Entertainment and Communication. Bakweri Traditional Instruments of Entertainment and Communication. Foley. Hold your hands together firmly leaving a small hollow between the thumbs and the fingers next to the thumbs. Sound is produced when using your mouth air is blown into the hollow. The sound is known as “foley”. The sound can be heard at a distance of about half a mile away from the foley. Jimbi. A log of about three feet long with a man created hollow. Sound is produced when pieces of sticks are repeatedly struck on the log. Sound from a Jimbi can be heard about 2-3 miles away as the crow flies. Mbando = a village community shrine. Moonda mo Soongo (literally a farm of graves) = cemetery. Melima me Songo = a graveyard for a particular family. Mokova – stump of a tree. Some mekova remain about 50-100 years without decay. (c) close to a mokova within the environs of a village wrestling field or play ground. 282. Bakweri Traditional First Aid Treatments. The elder brother of my maternal grandmother, Mbamba Kwaonge Etone of the village of Likombe situated about 2-3 kilo metres north of Sachenhofen Plantation had good knowledge of several medicinal plants. He was NOT a traditional Doctor. Nonetheless he used his vast knowledge of medicinal herbs and medicinal barks of trees in treating and effectively curing certain diseases. I remember how he used to distribute medicinal barks of trees to members of his family at Sasse, Great Soppo, Wonduma, Wokpwae and at Wonyavio where my maternal grandmother lived.